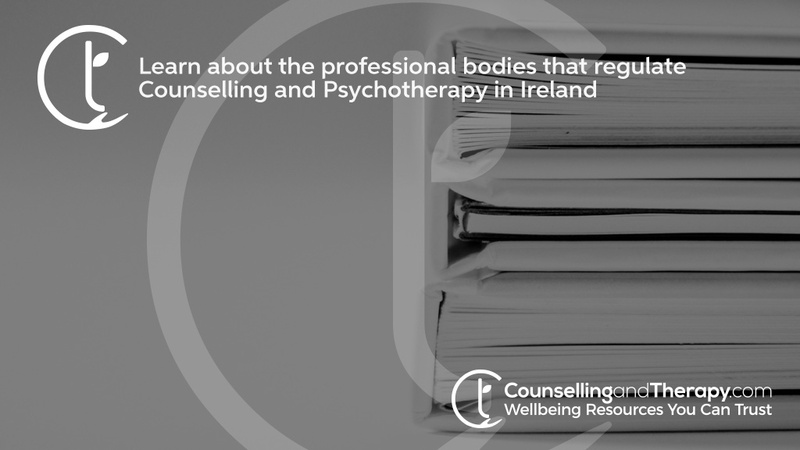 Currently in Ireland the professions of Counselling and Psychotherapy are self-regulated by a number of professional bodies, of which there are approximately 20 in all serving the various counselling and psychotherapy fields. Each of these professional bodies determine education and training standards and also the standards for the professional practice of its members. In relation to training of counsellors and psychotherapists, in 2014, QQI (Quality and Qualifications Ireland), which is the State body responsible for maintaining the National Framework of Qualifications (NFQ), and which is responsible for 3rd level qualifications in Ireland, launched new academic standards. As a result of this all counselling and psychotherapy courses in this country now have to meet these minimum levels. You can see these in further detail here. While the foregoing represents the position at present, the Government has planned for Counselling and Psychotherapy to be regulated professions in the near future. Coru is the government body responsible for regulating health and social care professionals in Ireland. It was set up under the Health and Social Care Professionals Act 2005 and its role is to protect the public by promoting high standards of professional conduct, education, training and competence through statutory registration of health and social care professionals. At the present time however, counsellors and psychotherapists are not designated under the Act although, similar to other practitioners, they are subject to consumer legislation, competition, contract and criminal law. The profession of psychologist is already designated under the 2005 Act and those psychologists who are counsellors and/or psychotherapists will soon be registered and regulated under that Act. Psychiatrists who practise psychotherapy are also regulated under the Medical Practitioners Act 2007. In addition, the Health Service Executive requires counsellor/ therapists working in the publicly funded health sector to have minimum qualifications set by it under the Health Act 2004. In the absence of statutory regulation there is no state control over whom and what qualifications are held by counsellors and Psychotherapists. There are concerns both in government and also among the bodies currently accrediting counsellors and psychotherapists that the interests of the public be fully protected, and that those who may be vulnerable in any way are treated with the utmost care and professionalism. Regulation of health professionals under the Health and Social Care Professionals Act 2005 takes place mainly by way of statutory protection of professional titles rather than by restricting scopes of practice. The use of protected titles is restricted to practitioners granted registration under the Act. Registrants must then comply with a code of professional conduct and ethics and are subject to a ‘fitness to practice’ rules similar to those which apply to nurses and doctors. he structure of the system of statutory regulation comprises registration boards for the professions, a committee structure to deal with disciplinary matters, and the Health and Social Care Professionals Council with overall responsibility for the regulatory system. As part of the preparation for statutory regulation of the professions of counselling and psychotherapy, in May 2014, the Minister for Health formally sought the advice and guidance of CORU, who subsequently issued a detailed report, available here. “The regulation of a new profession under the Act involves a consultation process and the making of a number of statutory instruments by the Minister for Health and by the relevant registration board. I envisage that, subject to the outcome of consultations, the statutory phase to regulate counsellors and psychotherapists under the Act will begin later this year or early next year with the submission of draft designation regulations to the Houses of the Oireachtas for their approval. Thereafter, I expect that the registration board should be constituted and operating during 2017. By the end of 2018, or early 2019, the board should be in a position to make the various bye-laws to allow it to accept applications for registration. In parallel, the regulations to protect titles and to prescribe the qualifications to be required of existing practitioners would be drafted and enacted”. Submissions have been made to the Minister by the various counselling and psychotherapy professional bodies, under the auspices of the Irish Council for Psychotherapy, and by way of a joint submission by the Psychological Therapies Forum and the Irish Association for Counselling and Psychotherapy and these are currently being evaluated with a view to progressing towards full statutory regulation. Broadly speaking, all of the in excess of twenty professional bodies, combined under the above umbrella groups agree that both titles of counsellor and psychotherapist should be protected and that both professions should be regulated at minimum Level 8 on the National Framework of Qualifications. All but one of these bodies subscribe to the view that Psychotherapists should be regulated at level 9 on the NFQ. 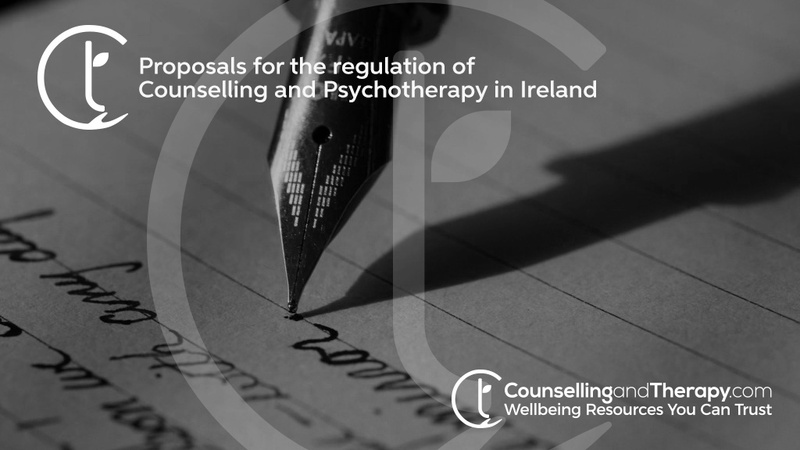 “In September 2016, the Minister engaged in a formal consultation process in which interested persons and organisations were invited to formally submit their views on how the statutory regulation of the counsellors and psychotherapists should proceed. A total of 80 submissions were received by the closing date of 30th November 2016. Following consideration of Minister Harris’s consultation with the Health and Social Care Professionals Council (CORU) and the public consultation process the Minister now intends to proceed with the designation under the Health and Social Care Professionals Act 2005 of two distinct professions, counsellor and psychotherapist, each with its own register, under one registration board. Irish Association for Counselling and Psychotherapy. In order to provide you, the user, with the reassurance you need around the qualifications and accreditations of counsellors and listed on this site, those designated with the Verified Therapist will have been independently confirmed by us as having been members of one of the Professional bodies listed at the time of registering with us at CounsellingandTherapy.com. All of these organisations subscribe to the current QQI education and training standards as set down by the NFQ and are committed to meeting the requirements for Statutory Regulation in due course.